When you aren’t out on the lake enjoying your boat, dry storage is a great option. If you’re looking for a boat storage facility, you’ll want to make sure to choose a quality facility to store your expensive investment. 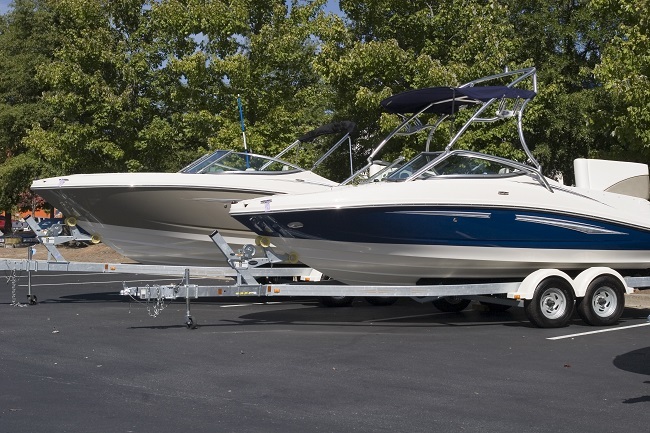 Below are six things to look for when searching for boat storage. Excellent Customer Service: Excellent customer service. If you have questions or need assistance, you’ll want someone around to help you. You should know the facility’s customer service policies, and don’t accept vague answers about this. Security: Storage security is extremely important. The more security features a storage facility has, the better. You’ll want to look for gated access that requires a code. Code-protected gated access is one of the most effective security measures for storage facilities. Other positive signs are video surveillance systems, alarm systems, and on-site guards. Lighting: Well-lit areas are not only more secure. They also make it easier to access boats after dark. To be sure you may want to check this feature out in the evening to confirm it meets your standard. Credentials: Ask about any specific local affiliations, awards, or licensing the company has. The more credentials they have, the more confidence you can have in the company’s quality. Location: If possible, choose a boat storage facility that is close to the water where you’ll use the boat. Long-distance boat towing can cost more in the long run. Good Curb Appeal: This indicates the property receives adequate maintenance and upkeep, which is a sign of quality and security. The area a storage facility resides in is also important. For a trusted name in boat storage, turn to Party Barn Boat & RV Storage. To find out more information about our boat storage, please contact us. Are you looking for an RV storage facility? Aside from location, it’s important to consider all of your personal storage requirements. When storing your expensive investment don’t just settle. To find exactly what will work for your RV storage needs we’ve compiled a list to get you started. Ask RV dealerships in your area for unbiased opinions on local RV storage facilities. As they’re in the RV business, they’re likely familiar with all RV storage companies in the area. Ask trusted individuals who own an RV. Perhaps you have a friend or family member who also has an RV stored locally. Find out that person’s experience with the company they use. Find out what type of security each RV storage facility uses. An electronically controlled access gate, a secure perimeter, and some type of video surveillance. Check to see how long the company has been in business and reviews from their customers. Word of mouth reputation is always helpful. If you plan to access your RV often, choose a facility that has available spots near the entrance gate. 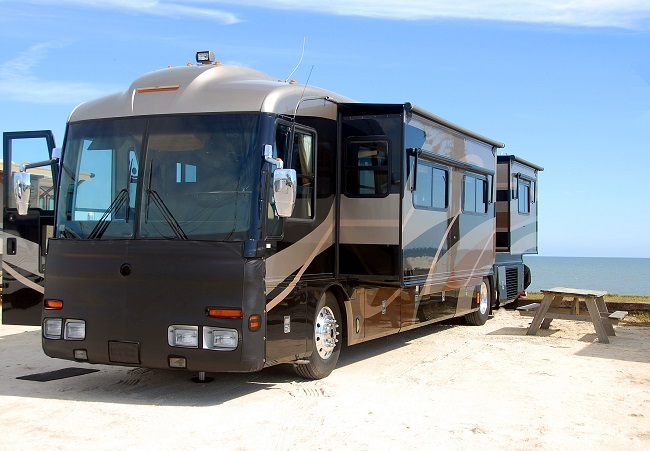 This will save you the hassle of navigating a large RV around in a storage property. Party Barn Boat & RV Storage offers covered, and uncovered storage options specifically for RVs. If you have any questions or concerns regarding RV storage, please contact us. Living or vacationing near Lake Lavon and Lake Ray Hubbard in Texas is great. You have access to excellent fishing, camping, boating, and other watersports. Having both of these lakes within just a few miles of each other, there are plenty of swim beaches, fishing holes, and marinas. But after you spend a day on the water— soaking in the rays and enjoying the views— what are you going to do with your boat? Or after a long weekend camping out in a shady campsite, where will you store your RV? 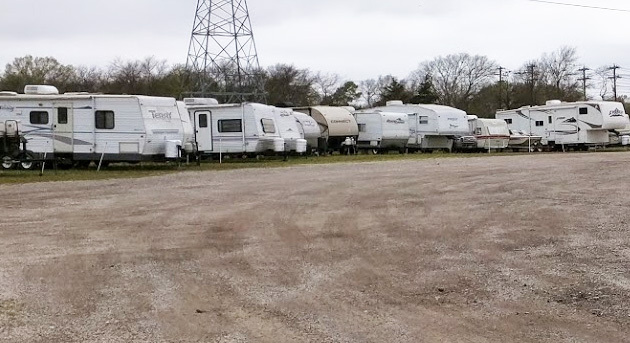 If your home does not have the space to store your boat or RV or your neighborhood does not allow it, we have room for you at Party Barn Boat & RV Storage in Wylie. Located centrally between the two lakes, we make it easy for you to come pick up and then return your RV or boat. We also offer various amenities, depending on the level of protection you desire. We have uncovered storage for the least cost for a 12.5′ by 30′ spot. Our current price for uncovered storage is $50/month. When you consider you don’t have to see your RV or boat in your front yard every day and can just use it when it is convenient for you, that seems like a small price to pay. Of course, if you prefer covered storage, we have that as well. We offer covered storage in various sizes— with and without electrical outlets. We also have completely enclosed storage. So if you are looking for a place to keep your RV or boat in between your trips to Lake Lavon and Lake Ray Hubbard contact us today.